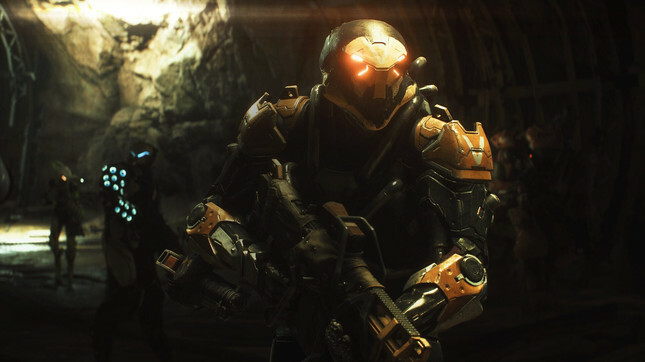 During E3, Electronics Arts showed a small slice of Anthem, reserving the full demo for behind closed doors. That full demo is finally seeing the light of day. Lead Producer Ben Irving provides us with our biggest look yet as he takes us through a 20-minutes of incredibly slick gameplay. We still know little about the overarching story, with Bioware instead choosing to focus on the action. When it looks as good as this, I really can't blame them. In the video, we see a team of four Freelancers flying, running and shooting their way through a gorgeous environment packed with hordes of alien enemies. With an insane amount of particle effects and explosions, something tells me Anthem will be pushing the current consoles to the limit. It's going to be interesting to see if Anthem can avoid the numerous pitfalls encountered by Destiny in recent years. Bioware's fanbase is incredibly passionate and expectations are understandably high for the Co-Op Action RPG. We're still an agonising eight months away from getting our hands on the finished product, with this new video making the wait for February 22nd that much harder. What do you think of the new gameplay? Sound off in the comments below! Pre-order Anthem on PS4, Xbox One and PC at Mighty Ape.